The Rev. 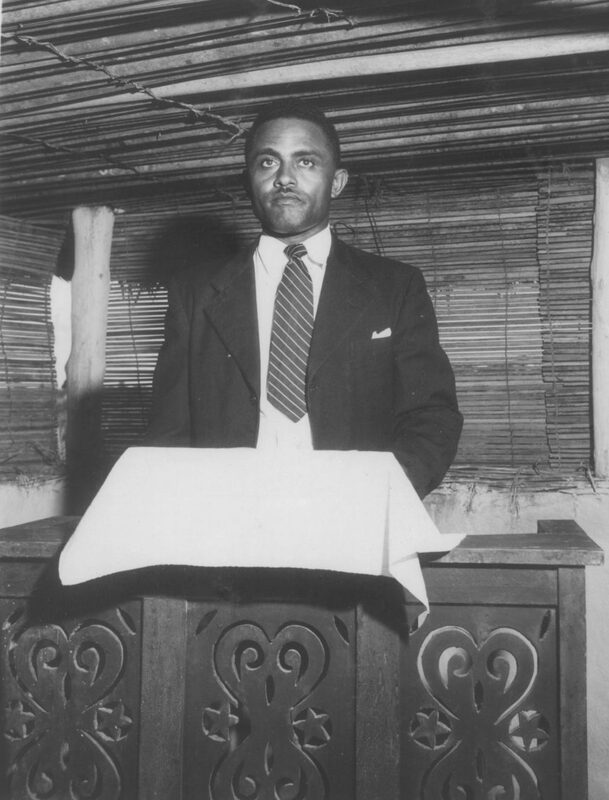 Ulysses Samuel Gray, mission superintendent of the Gbarnga Mission Station, 1948-1974. He preaches here from the pulpit of the Gbarnga Methodist Church. GCAH Mission Albums Africa #16, P. 72. The Rev. 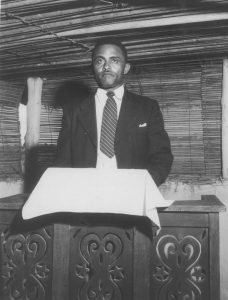 Ulysses Samuel Gray served as a missionary with the Methodist Board of Missions at the Gbarnga Mission Station in Bong County, Liberia, for nearly 27 years (1948-1974). His wife, Vivienne Newton Gray, also served the station as a teacher and administrator (see her biography https://methodistmission200.org/gray-vivienne-newton-1917/). Ulysses, known as “U.S.,” served as mission superintendent, pastor for the Gbarnga church and agricultural advisor for the mission station. He and Vivienne, one of a few African American couples assigned as international missionaries by the Board of Missions of the Methodist Church in the 1940s, oversaw the building and management of the church, homes, school, and the first gymnasium is the region. In 1959, U.S. Gray built the Gbarnga School of Theology where he taught and encouraged his students to become pastors in the Liberian Methodist Church. Ulysses Gray was an ordained pastor of the Texas Annual Conference. Born in 1913 to James Gray, Jr., and Ora Glass Gray in Franklin, Texas, he received his local preacher’s license at age 13. He attended Wiley College for two years and then transferred to Clark College in Atlanta. At the same time, he attended Gammon Theological Seminary on the campus. He met Vivienne Newton on the campus of Gammon and they were married in 1945. In 1947, he graduated from Clark College with a Bachelor of Arts Degree and a year later, from Gammon with his Bachelor of Divinity. Ulysses and Vivienne Gray were honored with the Liberian Star by the Liberian government for their nearly 27 years of work in mission in Gbarnga. The Liberian Star medal is the highest honor that can be awarded to a civilian in the country. After retirement, the Grays returned to the United States, where Rev. Gray served as a pastor in the Texas Conference. Ulysses Samuel Gray passed away in 2009 at the age of 96. Biography compiled by Christie R. House. Sources: “What Good Does United Methodist Mission Do?” by Boyce Bowdon, “New World Outlook,” September-October 2010. “Texas Annual Conference of the United Methodist Church 2010 Journal, Memoirs,” by Bishop Bennie T. Warner.